The great London ground will stage five group matches at the ICC Men's Cricket World Cup 2019. 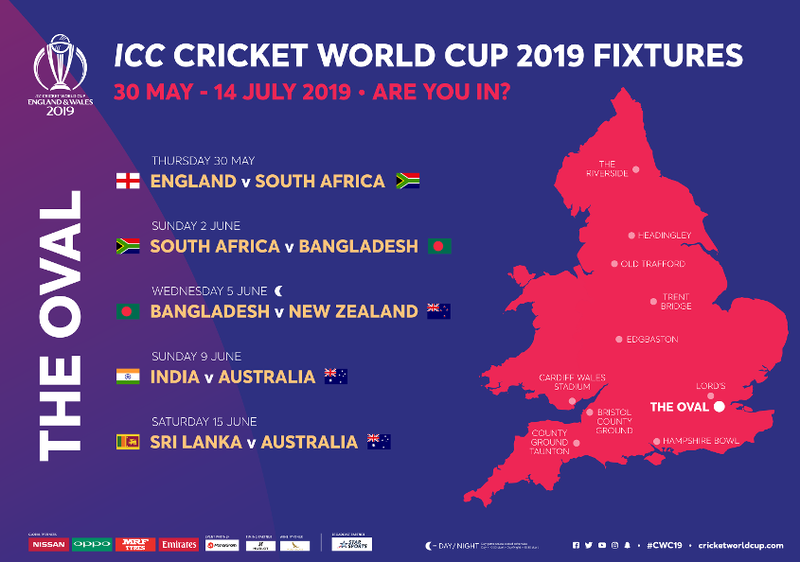 The Oval will host five fixtures at the ICC Cricket World Cup 2019, including the opener between England and South Africa. Set just a stone’s throw from the River Thames, the Oval – home of Surrey County Cricket Club – was the scene for the first-ever Test match on English soil between England and Australia in 1880 and has gone on to host over 100 Tests since. It has also played host to a number of big World Cup matches, with ten fixtures taking place at the Oval across the 1975, 1979, 1983 and 1999 editions. The most recent Cricket World Cup fixture at the Oval saw Pakistan spinner Saqlain Mushtaq take a hat-trick against Zimbabwe in 1999. To find out more about the accessible facilities and services at The Oval, check out the CWC19 Access Guide here. Please plan ahead so you can make the most out of your day at The Oval during the ICC Men’s Cricket World Cup 2019. There is no parking around The Oval and spectators are advised to use public transport. The Oval is serviced by two London Underground lines – the Victoria line, which stops at Vauxhall Station to the north of the venue and the Northern line, which stops at Oval Station just 100 metres to the south. Match day parking for Blue badge holders will be available on or near the site and details will be made available soon. Please be aware that for major match days there are road closures in place on roads surrounding The Oval which may affect access to some side streets. South Western Railway run trains to Vauxhall Station which is a 10-minute walk from the ground. The station is well served by trains throughout Surrey and Hampshire as well as from the Greater London area. London Bus routes 36, 185 and 436 stop outside the ground and several other services have stops within a 5 minute walk of the venue. For more information on buses and the underground visit www.tfl.gov.uk. Walking is good option and there is a small amount of bike parking outside the Hobbs Gate as well as a Cycle Scheme docking station. See www.tfl/campaigs/activetravel for more information. London, which is the capital of England and the United Kingdom, is located in the south-east of the country. It's home to over eight million people. 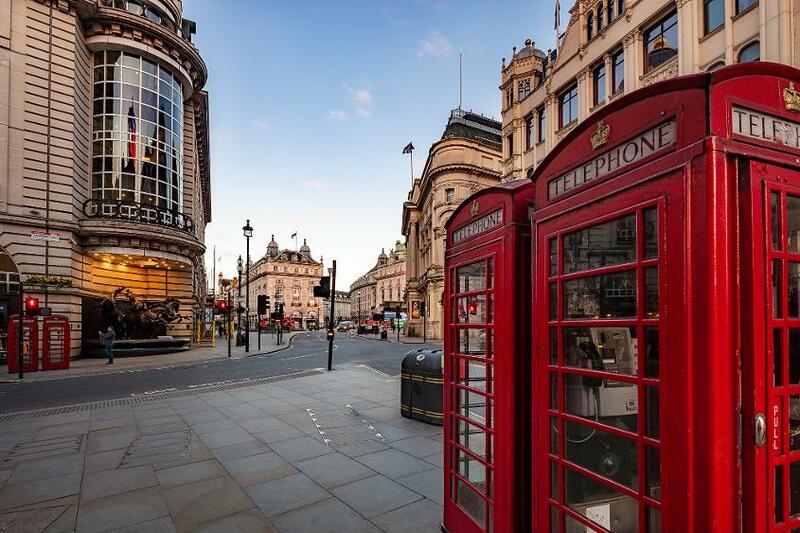 Mixing historic and contemporary, the city is famous for its iconic sights such as Buckingham Palace, London Eye and The Shard, as well as world-class museums, galleries, fantastic shopping destinations and West End theatre shows. Over the years, London has played host to a number of sporting events, including the 2012 Olympic and Paralympic Games, as well as annual events such as Wimbledon tennis, London Marathon and The FA Cup Final. The capital has a thriving food scene, with cuisines spanning the globe. Book into one of the 71 Michelin-starred restaurants, check out trendy street food markets, enjoy quirky cafes and bars, or savour restaurants with incredible views. Discover unique experiences, including Changing the Guard and The Slide at Queen Elizabeth Olympic Park. Don’t miss a thing with our guide to what's on in London, covering everything from theatre to music, comedy and art exhibitions.